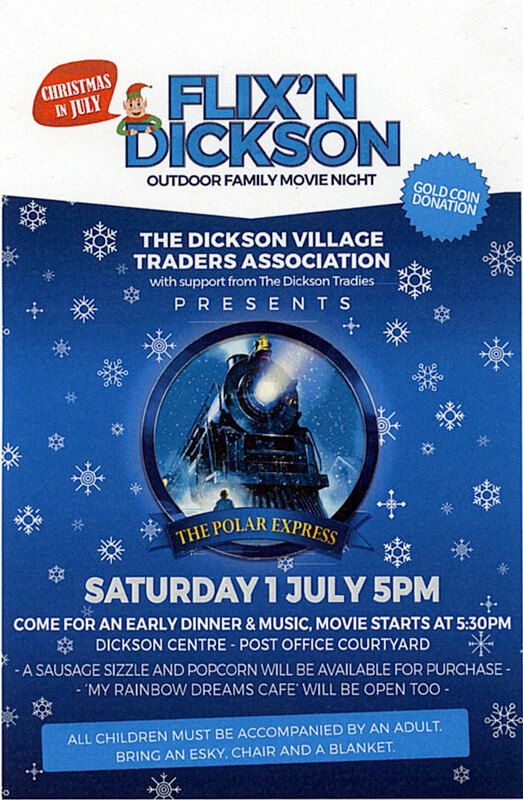 The Dickson Village Traders Association is presenting another of their outdoor family movie night. Come early at 5pm – for food, music and for the good company – with the movie commencing at 5.30pm. Come one come all and embrace the winter with a hot choc from my rainbow or a sausage sandwich from our BBQ and enjoy The Polar Express. Seating provided but you are welcome to bring your own. For more what out for notices on theMYDickson website.